After 14 years in the remodeling industry as CB Construction Company, we are changing our brand to better serve your needs. 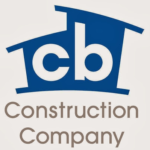 When starting this company, I intentionally left the name very generalized because I was unsure of the direction I would ultimately pursue in the construction industry. Within a few years, my passion started to focus on residential design-build, but at the time I didn’t have the resources to re-brand. After much thought and collaboration over the past year, we have re-branded to clarify our company’s position as we move forward. I am pleased to introduce our new name: Blackline Renovations. We are the same company and team, dedicated to exceptional service and quality standards while delivering your project in a streamlined process of budgeting, design and construction. Our primary service area still encompasses greater Dallas, with our focus in Highland Park, University Park, Preston Hollow, Lakewood, and the M-Streets. This is an exciting and important milestone for our company. We will continue to improve in all aspects of our service to you, and we look forward to our continued relationship for many years to come.